I have this girlfriend who is obsessed with her hair and all things natural. Which is actually pretty funny because she isn't natural at all. Well every time I talk to her she is either washing her hair, treating her hair, drying her hair, thinking about her hair or talking about her hair....real talk---and her hair is beautiful. So during one of our predictable phone conversations where there are several moments of silence because she is watching "Project Runway" and I'm reading some random business school article she slips in her recent knowledge about rosemary oil. Friend: "Girl I have to go to the health food store because I've been researching hair growth oils and rosemary oil seems to be the best." Friend: "Yea, rosemary oil has all types of benefits. It stimulates hair growth, has a refreshing scent and is good for the senses. I'm thinking about doing a deep treatment and including it in my regimen this weekend." Me: "Oh wow! Sounds good to me. You know I love to try need things...let me know how it works." How you can use rosemary oil to improve your hair health and growth. Regular use of rosemary oil helps with stimulating follicles as a result hair grows longer and stronger. It is believed that rosemary oil slows down premature hair loss and graying. It helps reduce dandruff of dry and flaky scalp by regularly massaging the scalp with the oil. It can also be mixed with almond oil, jojoba oil, tea tree oil and basil oil for a great scalp treatment. 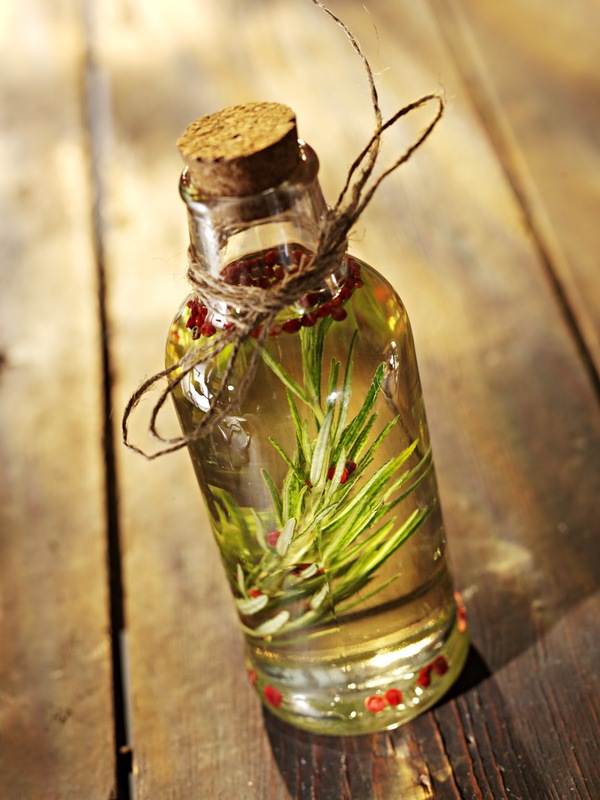 In a glass jar add a cup of rosemary leaves (bruise leaves with a pin or needle) and cover with almond oil, jojoba oil or tea tree oil. Add a few basil leaves as a further hair growth stimulant. Put the jar in a sunny spot and give a shake every day for a week. Strain the leaves out of liquid/oil mixture. Apply to dry hair from root to tip. Massage into scalp. Sit under dryer for 30 mins. Your hair should be gloriously conditioned and fragrant. Rinse with shampoo. Treat your hair as often as you like. If you don't have the patience to make your own rosemary oil feel free to purchase. Thank you for your post Chan. Please let me know how it works out for you. Great post..Just tried out a similar mixture..Will let you know how it turns out!! Thank you Renee! Please share the details of your mixture. Change in the normal cyclical process of hair growth is one of the main causes of hair loss. The factors that involve the normal hair growth cycle are hormonal disparity and genetics.